White-sand beaches, verdant palm trees and colorful botanicals make Mauritius a heavenly escape. Designer Kenzo TAKADA captures the vivid tropical scenery of this island paradise in his exclusive floral vase collection for SO/ Mauritius. 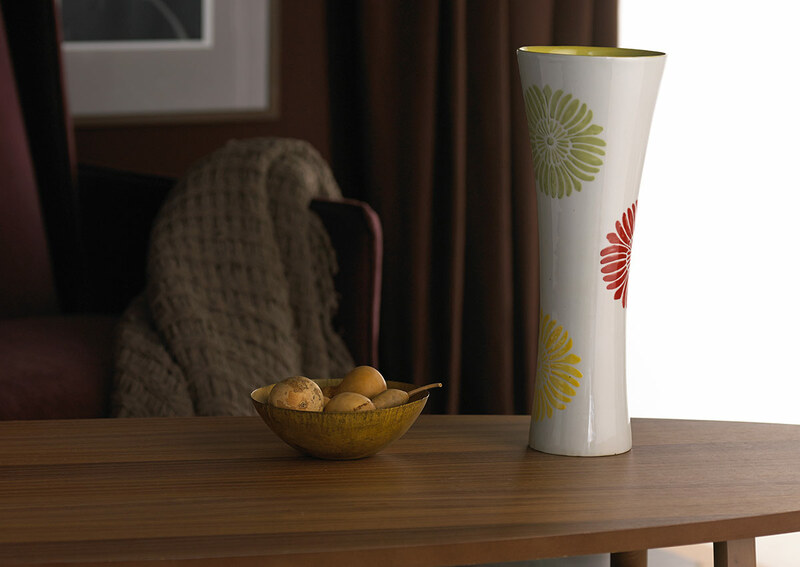 The 16 inch high Chrysanthemum Vase is handmade from porcelain and features a hand-painted bloom. Combine all three vases for a vivid arrangement or enjoy the beauty of a single vase filled with freshly cut flowers.